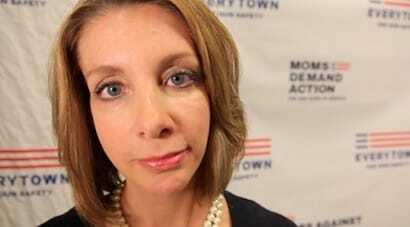 Over the weekend Shannon Watts, the founder of Moms Demand Action for Gun Sense in America, appeared on CNN “New Day Saturday” to discuss the ongoing saga of open-carry demonstrators in the Lone Star State. During the conversation, the co-host of the show Victor Blackwell challenged Watts on whether there was some truth to the National Rifle Association’s maxim that the only way to stop a bad guy with a gun is a good guy with a gun. 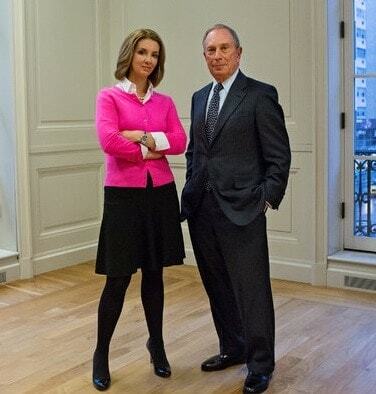 “Is there an example in school shootings or a mall shooting or these public facilities, where that has been wrong? Where a bad guy with a gun has been stopped in any other way or by a person other than a law enforcement officer with a gun or by killing himself?” asked Blackwell. As AWR Hawkins of Breitbart News correctly pointed out, there are numerous examples where bad guys with guns are stopped by good guys with guns at schools, public buildings and other facilities, including an armed guard who disarmed a shooter at an Atlanta middle school in February, 2013; the student resource officer at Arapahoe High School in Centennial, Colorado, who quickly foiled an attempt by a gunman who eventually committed suicide; the good guy who stopped a bad guy at a Georgia courthouse on June 6; among many others. Though they don’t always happen out in the public square, at schools or government buildings, loyal and dedicated Guns.com readers could cite the defensive gun use stories that are published on the website on a near daily basis that recount good guys with guns defending their business, property, family, friends and selves from armed attackers. Last week, for example, Guns.com published an article in which a Florida homeowner fatally shot a burglar trying to break into his car. But if that wasn’t enough, the Centers for Disease Control and Prevention released a study in 2013 as part of President Obama’s 23 Executive Actions to address gun-related violence in the wake of the mass shooting at Sandy Hook Elementary in Newtown, Connecticut, that found firearms are more likely to be used for self defense than for criminal or violent activity. “Almost all national survey estimates indicate that defensive gun uses by victims are at least as common as offensive uses by criminals, with estimates of annual uses ranging from about 500,000 to more than 3 million per year, in the context of about 300,000 violent crimes involving firearms in 2008,” stated the researchers. In other words, there are more good guys defending themselves with firearms than there are bad guys using firearms to perpetrate violence. Given that Watts misspoke or at least did not fully articulate her group’s position, Guns.com reached out to Moms Demand Action for clarification on their stance with respect to defensive gun use and the impact that carry rights have on crime rates. “What we mean to say is that these events are extremely rare — and independent research backs us up: the National Academy of Sciences conducted a review of research on firearms and violent crime and found ‘no credible evidence that the passage of right-to-carry laws decreases or increases violent crime,’ ” said Erika Soto Lamb, the group’s communications director, in an email to Guns.com. Putting aside the obvious disagreement that these events are “extremely rare,” (check out this unbiased analysis of DGUs from liberal-leaning journalist Paul Barrett) the latter half of Lamb’s statement is one of the best arguments for carry rights out there. That is to say, if one acknowledges there’s no credible evidence indicating that expanded carry laws decrease or increase violent crime, then why stand in the way of them? Expanded carry rights may not equal less crime, but they also don’t translate to more crime either, which means that while they may not be the panacea gun-rights advocates claim they are, they’re certainly not the plague that gun-control advocates make them out to be. Jury is still out on that, since this is a hard question to evaluate empirically. But it seems pretty clear that shall-issue hasn’t lead to any material increase in violent crime. And given the value of the right of self-defense (whether or not it’s constitutionally secured), I’d say that the presumption should be in favor of the right to have the tools one needs to defend oneself – and even if that presumption could be rebutted by very strong evidence, no such evidence has appeared. All of that to say good guys may not always stop bad guys with the guns, but more armed good guys does not increase violent crime, therefore one should err on the side of personal freedom and protecting one’s right to keep and bear arms for traditionally lawful purposes such as self-defense both inside and outside the home.